The British Car Auctions (BCA) company has suggested their showrooms could net anyone the auto of their dreams for Christmas. Suggesting private buyers could discover the perfect holiday gift for themselves or the ones on their gift list, PR manager Time Naylor noted the improved website may find it easier to uncover something for those with specific tastes. Looking through photographs and through the catalogue for a complete description including details of where and when the sales will take place is the first step, he said. "Having found the car of their dreams, then all they need to do is turn up to the auction and get bidding!" To give an idea of the diversity of the products on offer, the firm noted in the past few weeks they have put a 2004 Coleman Milne Dorchester six-door limousine, a 1990 Porche 911 (964) Carrera, a 2008 Harley-Davison VRSC and a 2008 Fiat Pilote Explorateur motorhome on offer. Despite these niche examples, BCA insisted there could be something for everybody's price range. 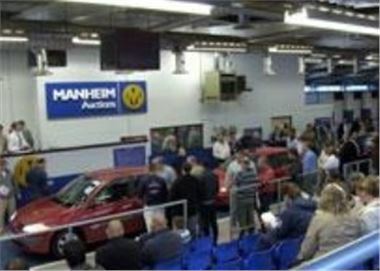 Recently, the Retail Motor Industry Federation stated auctions were becoming increasingly popular as a way to buy used cars. To find out what Honest John has to say about buying at auction, click here.